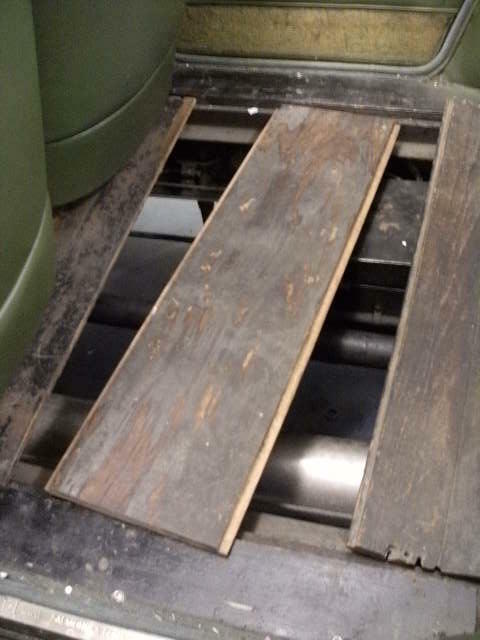 Floor boards, what else did you expect to find in a car! Occasionally, just occasionally, we will work on other makes. There are some conditions though, in order for us to work on other makes the owner has to have or have had an Alfa Romeo. Now for the last 15 years or so I have had the, dare I say it, pleasure of working on a Gentleman’s collection of Rolls Royce’s and today I have enjoyed the challenge of starting and driving his 1928 twenty horse power about 30 miles from his garages to work. Driving in 1929 was a completely different experience to driving today, in the 20’s driving was more of an art than a science. Firstly the steering is heavy. Ones chauffeur had to be fit in order to even turn the steering wheel and once under way there is a certain amount of play so a perfect line through a corner is extremely difficult to achieve. In fact any line through a corner is hard work. While the chauffeur is hard at work trying to steer the vehicle he also has some other duties to perform: Engine temperature is controlled by opening the radiator flaps so while driving the driver had to keep an eye on the temperature of the engine and adjust the flaps accordingly. Then there are two mixture controls on the dash, one is the choke which is only needed for starting, but the other is mixture adjustment while running, which needs to be monitored. Then to add to the drivers’ burden the ignition timing is also adjustable while on the move and can be changed according to driving conditions. It isn’t over yet though, the car has a crash gearbox so gear changing involves double declutching and to make that more difficult the gear lever is on the right hand side of the car (so ones driver did not touch her ladyship’s leg when changing gear). Once all this is mastered, driving is a much more tranquil affair than today’s experience. Cruising speed is around 35-40 mph and you really wouldn’t like to try to see what top speed is as that “just wouldn’t be playing the game old sport”. You really do have to admire the engineering that went into building the car though, like Alfa Romeo’s of the same era Rolls Royce’s were supplied as a rolling chassis and one had ones favourite coachbuilder make the body for you. The frame was made of wood and an Aluminium body hand crafted on to it. One of the most endearing features of the 20hp is that is has floor boards, wooden floor boards, these can be taken out to work on the car’s gearbox or chassis. The coachbuilder also had some interesting ideas about the drivers place in the world. All the windows on the car except for the drivers wind down with a handle, however the driver poor lowly soul that he was had to make do with a sliding window. Why would one want to go to the expense of providing ones driver with such luxuries as wind up windows? Next we come to other refinements like heating and ventilation. Heating is easily dealt wit, there is no heater! Ventilation is slightly more complicated but not by very much. There is a simple flap by either front seat passengers’ feet, the flap is provided with a screen so when it’s open nasty insects can’t get into the passenger compartment but that is it. 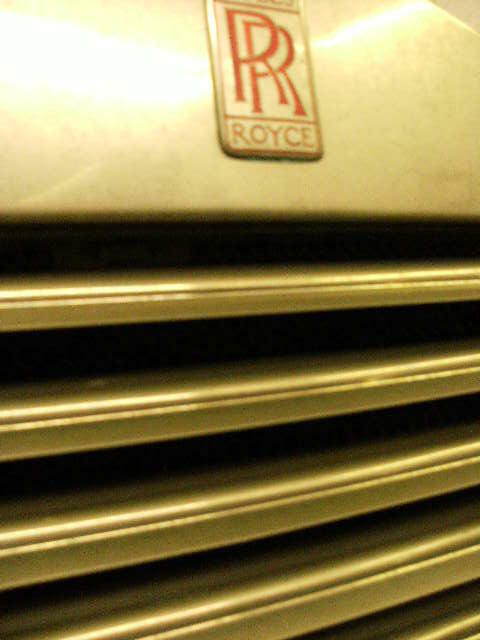 Rolls Royce’s chassis does show a lot of attention to detail. The car has a C section girder chassis and to improve strength while keeping the chassis rigid Rolls Royce added a stringer that is in tension to both chassis rails within the wheel base. The car is effectively suspended at both ends by the axles and the weight is in the middle, this puts a bending moment on the chassis. To increase the strength of the chassis without massively increasing the size of the chassis C sections Rolls Royce included some stringers underneath the chassis, a bit like an upside down bridge, a nice touch. The engine has two forms of ignition just in case one or the other causes the car to “fail to proceed”. 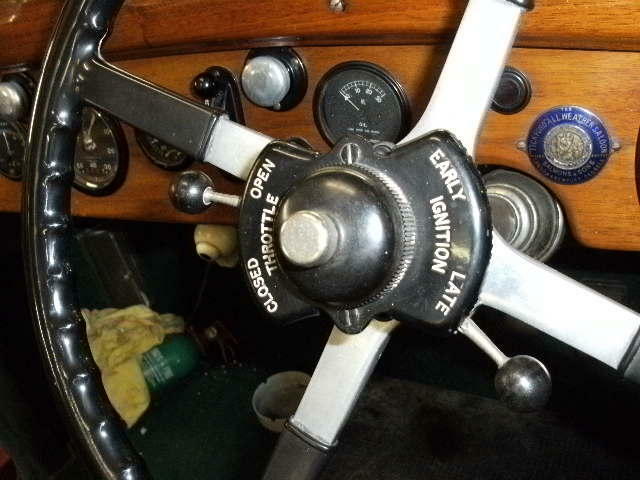 At the time the car was produced points ignition was a fairly new invention and a magneto was the norm, so Rolls Royce decided for the sake of reliability to have both systems on their vehicles. One can change the car over from one to the other by engaging the drive for the magneto and swapping the coil lead over and onward you go. The engine has some other features that are really nice, on the side of the sump there is a gauge like a fuel gauge and it tells you how much oil is in the sump. It is a simple mechanical gauge with a float and a lever, it has worked reliably for 90 years and is still working reliably today (take note Alfa). There is no rear engine oil seal, the engine relies on clever design to duct the oil back into the sump. Although it is not totally oil tight it manages to retain 99.9% of the oil, beautiful simple and effective as all good engineering should be. 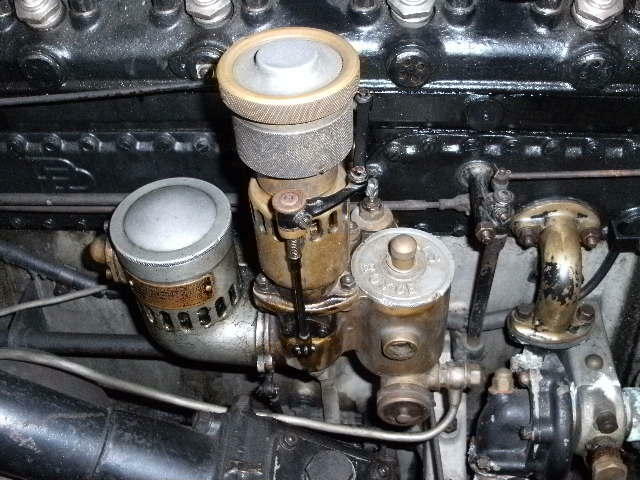 The engine design is however no where near as advanced as Alfa Romeo were using at the time. 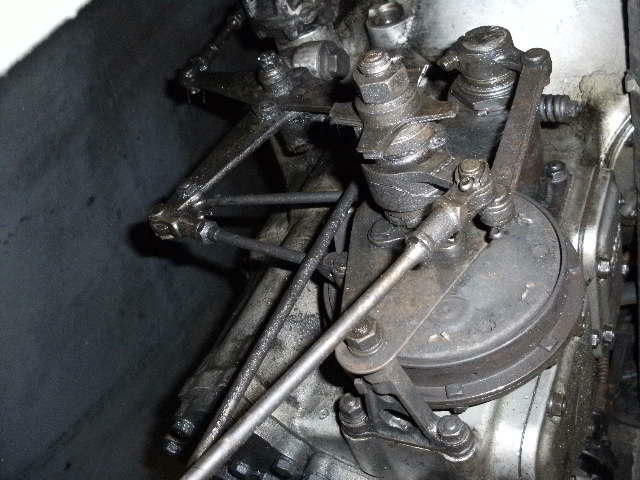 Where as Alfa were using twin overhead camshafts, Rolls Royce were using overhead valves mainly because they were quieter. One of the most interesting features of the car are the brakes which are at first acquaintance incredibly complicated, however with time they make more and more sense. All the brakes are cable operated and unlike modern cars the rear brakes are much bigger and more powerful than the front brakes. The front brakes were only introduced on this model in 1925! When the car is stationary only the rear brakes function, which confuses the hell out MOT testers, and they work through the handbrake mechanism. The main service brakes are NOT connected to the wheels and here is where it gets complicated. On the side of the gear box is a plate which is connected to the prop shaft, and also turns with the prop shaft. Rolls Royce have also mounted another plate next to the driven plate, this is what the brake pedal is attached to. As you operate the brake pedal a cam forces one plate against the other and the secondary plate is forced to turn by the plate that is attached to the prop shaft. The secondary plate is held in place by the two reaction rods attached to it, and it is these that operate the service brake cables. This gives you an amazingly good form of brake assistance which is directly proportional to the forward (or reverse) speed of the vehicle. As I have abandoned Alfa this time (for this article only, honest), did you know that the RR on the badge used to be red and it was changed in 1932 to black. 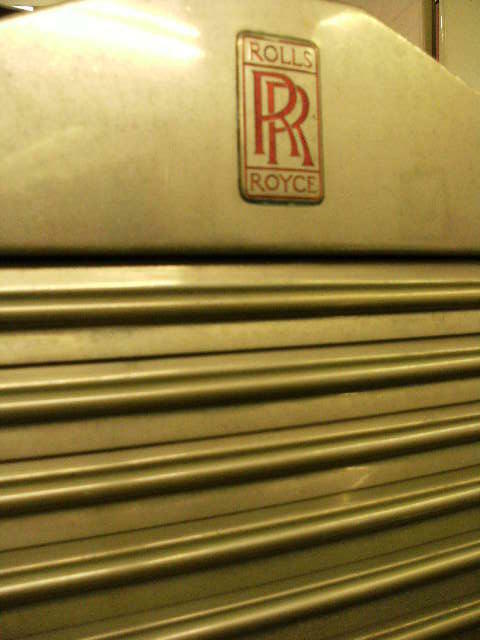 This was a planned change and wasn’t due to the death of Henry Royce as popular mythology has it.